How to Use a Meat Thermometer | Bigwig Jerky Co. Looking to cook the perfect steak every time? There is one item that could be the Holy Grail for your kitchen: a meat thermometer. This little device can ensure that you get the perfect cook, always. Cooking your meat correctly is vital. If your beef or chicken is overcooked, it will turn out too tough and dry. If it’s undercooked, the protein can make you violently ill, especially if it’s minced, rolled, or grounded because of the bacteria on the surface being exposed and contaminating the rest of the meat. For the perfect temp and for safety, a meat thermometer is essential. Here, we’ll go over how to use a BBQ thermometer for the perfect temps, every time. Why Is Reaching the Ideal Temperature So Difficult? One reason the temps for meat and fish are so difficult to get right is that there are many variables involved. A few of these factors include the heat of your oven, the thickness of the meat, and the temperature of the fish or meat when you begin to cook it. The list of these variables goes on and on. The skill of cooking meat can be perfected with years of practice by a chef or cook. They can often tell the cook of a protein by just the touch and feel, smell, and even the sound of the food cooking in the pan. However, not everyone has the time or patience to perfect these skills. Tools that help amateur cooks easily identify when meat is properly cooked is vital, like a BBQ thermometer. When using a food thermometer, you want to stick the tool into the thickest part of the cut. Be careful to avoid gristle and bone. 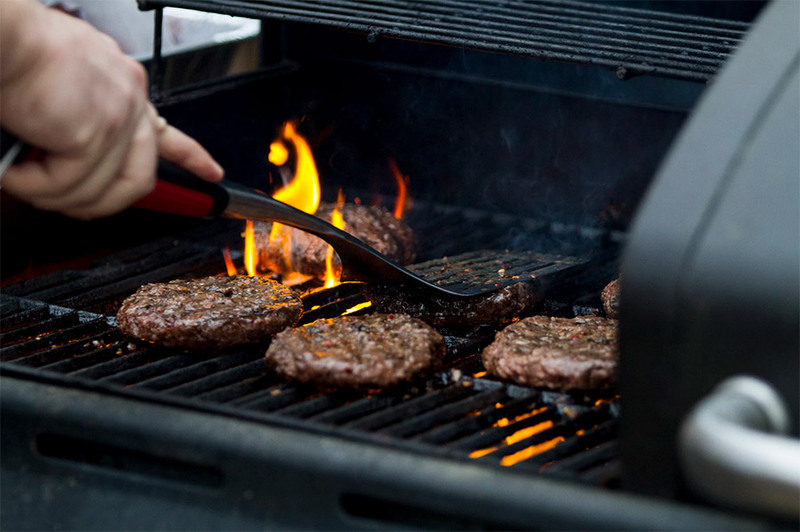 To kill all food poisoning bacteria, the Food Safety Information Council advises that hamburgers, rolled roast meats, poultry, and sausage reach 75°C. If you’re aiming to achieve a specific cook on a cut, such as rare, medium-rare, or medium there are a few guidelines. Once you’ve got the perfect cook on your protein, make sure you let it rest. Resting allows the juices in the cut to redistribute, making it juicier and more tender. While the juices flow, the heat from the outside will still try to work its way into the centre. This means that it’s basically still cooking outside the pan. Removing the meat from the pan once it reaches the exact temperature often leads to the meat being overcooked when it gets to the table. How much the temperature will rise depends on the size of the protein. Typically, the difference between the surface and internal temperature is between 2-8°C. A meat thermometer is a small investment that will last you a long time. As a simple metal needle and temperature reading device, it can be inserted easily in almost any meat. They typically run between $12 and $100. It’s a small price to pay when you’re trying to not ruin the piece of meat you’re cooking. The BBQ thermometer is a wonderfully reassuring kitchen tool that even a complete novice in the kitchen can use. 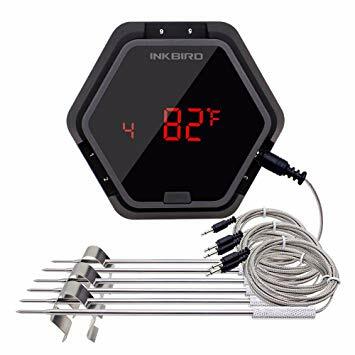 Before choosing just any device though, read some meat thermometer reviews and check out the cool features that newer models often have. Whatever your choice, you know you’ll get a perfectly cooked piece of meat every time you cook.